Minquan primary school in Namasia was destroyed by the effects of typhoon Morakot in 2009. The original school was built close to the river which runs through the area and was demolished by the destructive mudslide that ensued during the typhoon’s deadly visit to the island of Taiwan. This caused disruption to the children’s education in addition to the destruction it wrought on human life in the area. Thankfully, there has emerged one silver lining to the dark cloud of this super storm. Minquan primary school has risen like a phoenix from the flames. The rebuilt school is a beautiful and functional eco-building. For safety reasons, Minquan primary mark II is located high in the mountains rather than near to the river. The new school has also been built with disaster survival in mind and will now be the safest place to be if disaster strikes again. In fact, the buildings have been designed to have a dual-function, both as a school and as an evacuation centre in the all too likely eventuality of another massive typhoon hitting the region one day. 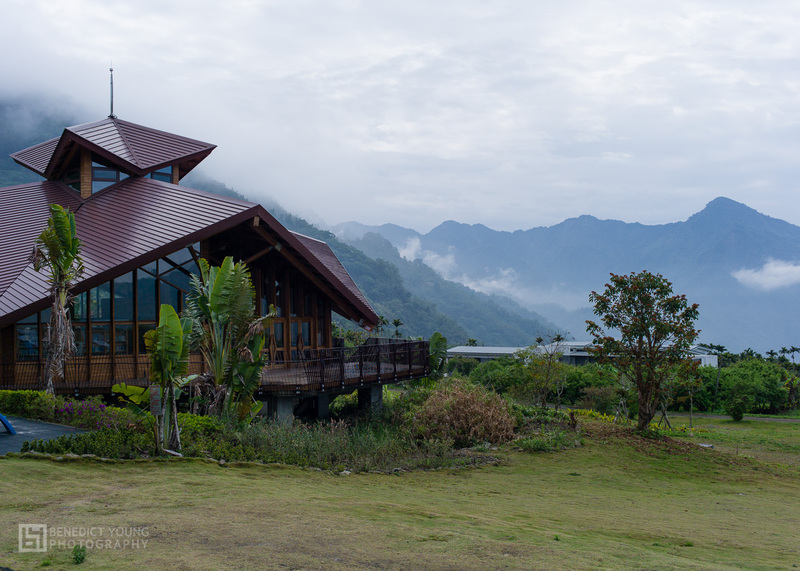 The library (above), with stunning mountain views as a backdrop, will serve as a disaster response centre in the event of another catastrophic typhoon. The state-of-the-art facility is also an eye-catching piece of architecture, utilizing a lot of wood and incorporating renewable energy features which make it a diamond-level green building. This will make it cheaper to run in the long term and will help to make it a more sustainable hideout if the area is cut off from the rest of Taiwan again. The architectural style combines modern minimalism, eco-design and local tribal designs. A good example of this is the driftwood roof that hides solar panels behind a tribal art motif. The new school provides the perfect environment for children and teachers alike, with beautiful vistas, fresh mountain air, space to run around and brand new facilities. Most children around the world would be lucky to have facilities and an environment half as good as these at their school. This school stands out as a shining light of what can be achieved and should serve as a model for future school and community building in Taiwan. Especially, considering that most schools in the indigenous areas of Taiwan are poor equivalents of their inner-city counterparts and lack funding, it is marvelous to see here in Namasia one of the best new schools in Taiwan and the finest example that I have ever personally seen. God bless the villagers! It’s quite true the tribe walks out from that horrible disaster with great difficulties, and we shall pay more concerns in long terms to help them living better. The eco-building can be a very good sample for the future new erections. Very beautiful landscape, nice photo. Would you be able to answer some questions about school life in Taiwan? I am a teacher in New Zealand and my students are reading a book on going to school in Taiwan. Hiya, what would you like to ask?